Would the US pursue a better strategy by pulling out of the Middle East entirely? The end of World War Two was a watershed moment in US political history, it marked the end of its international isolation which had been the pervading element in US politics since the end of the 1920’s and only was abated when the Japanese attacked Pearl Harbour. The politics of the Monroe doctrine were rekindled as the need to counter the Soviet threat grew. The decline and fall of the Soviet Union in the 1990’s led to the resumption of American isolationism. America looked inward, became embroiled in its own internal issues such as the impeachment of Bill Clinton and the bungled US Presidential election in 1999. As the new century dawned, America was shocked out of its isolationist stance by a new Pearl Harbour, the September 11th Attacks. It was a powerful wake-up call for the Bush administration and shocked the Americans into action. American involvement in international affairs increased, as they were effectively “hit where they live” by a few well placed individuals piloting hijacked planes. The popular public sentiment at the time was revenge, the desire to hit those who had hurt America so badly. However Al-Qaeda was not of any specific country, Osama Bin Laden was a Saudi Arabian national and Saudi Arabia had a history of good relations with the US going back to the first gulf war. This all changed, when the link between Al-Qaeda and the Taliban regime in Afghanistan was established in December 2001 and was duly followed by the invasion of Afghanistan by US forces. The fall of the Taliban should have marked the end of this need to retaliate, but the American public full of the patriotism of winning a war wanted more. The controversial pursuit by the US of definitive proof that Saddam Hussain was manufacturing weapons of mass destruction, despite reasonable evidence that he had no such capability prompted the second Gulf war. But this time the US had bitten off more than it could chew. Although the war was won in a matter of months the resultant insurgency bogged the US down in the area for a number of years. Public support waivered and then declined dramatically as more and more US servicemen were killed. The second term of George Bush Junior was one belied by lack of progress, both domestically and internationally. Osama Bin laden remained at large, the US economy teetered and then fell into the abyss of recession and Hurricane Katrina rid the US of its stomach for war. The Obama presidency was supposed to be a brave new dawn, where the mistakes of old were rectified not repeated. The killing of Osama Bin Laden in 2012 was seen as an ending to the aggressive stance of the US with the switch being made to a more peaceful approach. US troops were withdrawn gradually from Iraq and Afghanistan with the onus being on local forces to take up the slack. While the existing structure of Afghanistan did not change, the US disassembling of the Iraqi military created more insurgency, with many of these individuals joining the newly formed Islamic State. The current crisis in the Middle East, one can argue is a direct result of American destabilisation of the area. Displacement of individuals with military training and those who would have enjoyed a greater position under the previous regime, together with those individuals who exercise an extreme view of Islam have combined forces where they would not have done if the US had not got involved. Many books have and will continue to be sold on the motivations of the USA in the aftermath of the September 11th attacks, the wars in Iraq, Afghanistan and its role in the Middle East. I don’t propose to rain on their parade; I’d like to establish an alternative: What if the USA pulled out of the Middle East entirely? When I say pull out of the Middle East entirely, I mean a complete cessation of all military, diplomatic, economic and industrial involvement in any country located in the area. The most obvious casualty of this withdrawal would be the standing of the US in the political arena. Withdrawal sounds far too much like retreat, the US would be seen as running away with its tail between its legs. Old adversaries like Russia, North Korea and Iran would cry coward and would not be on their own. Far too often in politics leaders have pursued a course of action to the bitter end, despite the obvious damage it has caused to their political standing. An example I have already mentioned bears this out: The US pursuit of the Iraq war despite opposition from its allies within the UN. International relations with Germany and France were set back at least 10 years by following this through. On the other side of the coin, a US withdrawal from the Middle East sphere would show that the US is willing to change, willing to embrace new ideas. This may lead to a softening of current perception about the US and its foreign policy. In addition the US government would improve its standing at home, as withdrawing would enable it to focus on its internal strife and rid itself of the problems that it faces and ultimately may strengthen it. However, this withdrawal may lead to a backlash, as those families who lost loved ones fighting in the wars for Iraq and Afghanistan might wonder what they died for and start to question their leadership. The US army currently has 21,374 personnel in seven countries across the Middle East at its various military bases. This figure does not include the 28,970 currently stationed in Afghanistan, as most of these are due to return to the US by the end of the year, leaving a small residual force in the country until the end of 2016. The withdrawn personnel could be reallocated to conflicts closer to home, such as assisting the Mexican government in its battles against the cartels or defending the shipping lanes currently under threat from Somali pirates in the horn of Africa. Ceasing economic intervention in the Middle East would save the US government on average 17.7 billion dollars in foreign aid payments. Money which could be reallocated to solving the US debt crisis, the redevelopment of New Orleans after Hurricane Katrina, the strengthening of disease management infrastructure, the list goes on. It could also pay these funds to less developed countries than those currently enjoying US aid. Industrially, the US would lose its guarantees to Middle Eastern oil, which currently comprises two thirds of the worlds overall reserves. These guarantees are mostly bought with a combination of aid and military support which would cease. Although the loss of these guarantees would be a body blow to US industry, it would stem the US overdependence on this resource, allowing monies which would have been spent on oil to be spent on developing fledgling energy sources such as fracking and re-evaluating Nuclear power. The US need to defend these oil reserves, as articulated during the presidencies of Richard Nixon and Jimmy Carter would cease and a new policy would have to evolve to suit. In any war there are casualties, just as there will be casualties in any US withdrawal from the Middle Eastern theatre. US withdrawal would put the pressure of fighting Islamic State back on the powers currently being helped by the Americans. Would these powers be able to effectively push back IS without US help? Simply put: No. The IS advance into Iraq proves the ineffectualness of their army, the Turkish army is unwilling to aid the coalition because of the coalition’s desire to support its traditional enemies, the Kurdish people. Iran may be drawn into supporting its neighbour, resulting in an expansion of the conflict zone to larger sections of the Middle East. Countries which have enjoyed US protection, such as Saudi Arabia, the United Arab Emirates, Qatar and Kuwait are ill equipped to defend themselves against an aggressor such as IS. The fact that IS is concerning itself solely with Iraq is the only thing stopping the potential attack of these countries. Already repressive regimes in the area would become more oppressive as a result of the absence of the moderate US, which serves as a check against restrictive and oppressive governments. These regimes could become the breeding ground for a new “Arab Spring” style revolution, which while needed could destabilize the region even further. The other chief casualty of this withdrawal would be Israel, an aggressive country which has proven itself to be reactionary and volatile on more than one occasion in the recent past. In addition the removal of US financial aid would undermine the Israeli economy, which currently spends 57.5 billion a year on its defence forces. Volatility, combined with the presence of nuclear weapons is a dangerous combination and could lead to Israel’s destruction either by itself or a hostile foreign power. Iran, in the past has made no secret of its desire to destroy Israel as a nation state and the withdrawal of the US from the region could prove the catalyst to war. So coming back to our original question: Would the US pursue a better strategy by pulling out of the Middle East entirely? The simple answer is no. The US has been embroiled in the region for far too long is over dependent on its resources, finds opposition in its people and is too invested in the continuation of the current Middle East status quo. Removal of the US from this theatre would yield many practical benefits, however the ideological cost and lasting political, military repercussions on the region from exerting such a stratagem would cancel out any potential benefits. Why ask the question then? Well the role of the politically minded individual is to question their leaders, the policies they follow and the politics they preach. We must continue to ask these sorts of questions of our leaders, lest we become a totalitarian dictatorship. One cannot look at the current affairs of the world without encountering one very prominent and disturbing organisation: The Islamic State (IS). Its spectre looms large over the Middle East claiming both territory and lives, but if you look further into the organization itself, past the propaganda you start to see the fundamentals of the politics being employed. Questions begin to sprout, one of which I will attempt to answer here. To effectively examine whether IS is essentially a fascist organization we must look at several key factors the most obvious being their methods and their politics. We can also examine their history to understand their future. The easiest way to confirm this is to compare them against the greatest exponent of the fascist ideal in the last 200 years: The National Socialist Movement in Germany. The Nazi Party invaded all of the social and political structures of Germany, perverting a great and noble people into the worst cycle of human depravity. No structure was so greatly invaded than the minds of the people of Germany, organisations like the Hitler Youth exploited the young forcing them to accept their ideology from an early age. They also exploited the ordinary working class people of Germany, so humbled by the effects of the great depression using rallies, propaganda and promises of a new future. IS, while not in possession of a country rather a fluid state employs similar methods to radicalise ordinary Muslims. It uses social media and the internet to broadcast its messages of hate, none more so than the sickening videos of their massacres. Its videos of the vile beheading of westerners like Alan Hemming push the ideology that the western powers can be challenged and they can do nothing about it. The use of obvious propaganda instruments like social media is supported by its use of subversive propaganda. IS targets vulnerable Islamic youth radicalising them with promises that they are doing what Allah wants them to do. The fact that a lot of these “Jihadi Johns” are springing up in the combat zones is proof that their message is getting through. It is not just male Muslims being targeted, there has been a disturbing rise in “Jihadi brides”, vulnerable women lured to the Middle East as part of a scheme to marry them to IS fighters. The fact that it is now an offence to view a beheading video online under anti-terrorism laws is testament to how seriously the Western powers view IS propaganda. Religion played a prominent but not obvious part in Nazi ideology, manifesting itself in the myth of the Aryan race and its divine destiny to rule the world. The Nazis perverted pagan mysticism and scripture to suit their ideology and supported this through the use of the aforementioned propaganda rallies and book burnings. Even newer mediums such as film were used as tools for ramming home this belief system, directors like Leni Riefenstahl were indoctrinated into making propaganda films like Victory of Faith. IS exploits religion in a far more obvious way, using it as a bedrock of their organization. You cannot view a video of IS fighters without encountering references to Allah and the Quran, even though every Muslim organization has denounced them as zealots. The establishment of the Islamic Caliphate has been cloaked in the scriptures and traditions of Sunni Islam. Radicalised clerics have used Islamic texts to legitimize the movements and the massacres. The core membership of the Nazi party was primarily composed of politicized veterans of the First World War and middle class Germans. Men with experience of combat and higher education than the disaffected individuals that they drew to their cause. The current leader and Emir of the Islamic State, Abu Bakr al-Baghdad obtained a BA, MA and a PHD in Islamic studies from the University of Baghdad. Many of the core members of IS are former members of Saddam Hussein’s Republican guard, men such as Abu Muslim al-Turkmani and Abu Ali al-Anbari. Both men were dismissed from the guard in 2003 after the American led invasion of Iraq, drifting into radicalization and then open insurrection against Iraq and Syria. Education and military experience has enhanced the effectiveness of IS and its message. Both organizations have used genocide to expand their spheres of influence. The Nazi’s used eugenics as a cloak for the removal of those they deemed to be inferior like the Jews and homosexuals. IS regularly engages in the genocide of Shia Muslims but does not cloak its activities, in fact it pushes them to the forefront of its propaganda message. In addition the principals of Lebensraum and the Islamic Caliphate are very similar in their intention to unite both Islamic and Germanic peoples. Moving away from National Socialism, comparing IS to fascism itself provides a good comparison but it ultimately raises more questions than answers. The chief virtues of Fascism like totalitarianism and direct action through violence, together with the fascist view of the roles of Men and Women are in evidence when looking at IS. Its desire to purge all pervasive and corrupting influences to enable a regeneration also harkens to the Fascist ideal of palingenesis. The idea of sweeping away the old order in favour of the new, or in this case sweeping away those who do not share the IS interpretation of Islam. However the other chief tenet of Fascism, the nationalist ideal is not in evidence because the IS nation state has not been established as a stable country. There is no certainty if this will take place, not if the nations of the coalition have anything to say about it. As an observer of this movement, you could argue that once the area is brought entirely under IS control that the green shoots of Nationalism will spring up to complement those fascistic qualities which already exist in IS, but it remains to be seen. While IS shares many similarities with Fascism, the ultimate judgment as to whether it is or is not will only be borne out by time and in all likelihood not by this generation of political observers. As members of the politically aware world it is our responsibility to form these judgments and make such comparisons to gauge the principles and motivations of the political organisations involved. In short we must always ask these questions. Dedicated to LSS: Thanks for the idea and support. Afghanistan, Iraq, Egypt, Libya, Syria, Tunisia and numerous other Arab speaking and Asian countries. The names read like a who’s who of the Foreign Offices “must avoid” list. What do they have in common? Simple, they have experimented in democracy, with varying successes and failures. Let’s take Afghanistan first, the American led invasion of 2001 while being primarily an act of revenge for 9/11 had one very important thing, the support of the local leaders. The tribes of Afghanistan, militarised in the form of the Northern Alliance who long despised the Taliban had no trouble falling in with the Americans in their war of freedom. The post war government of Afghanistan, led by Mohammed Karzai is a western friendly government, eager to fall in line with its American backers. The April 2014 election, coincidental with the withdrawal of the bulk of the American forces from Afghanistan was a widely contested and criticised affair. To date there has been no clear winner announced amidst rumours of electoral vote rigging and corruption of officials. Democracy has in this case bred corruption. Iraq, the second great American war of the 21st century was an equally short affair. The government, while enjoying popular support from the mostly Shia population is without the means to effectively defend itself in the same way that it’s Ba’ath (the party of Saddam Hussein) did. The Sunni bankrolled Islamic State (IS) organisation has been allowed to rise in Iraq in the vacuum of power left by the demise of the aforementioned dictator. IS now controls large parts of Iraq and neighbouring Syria, cities like Tikrit, Mosul and Fallujah and has perpetrated appalling war crimes in its pursuit of its aims. Democracy, while present has been proven ineffective against brutality. Eqypt, the great and ancient power eager to shake off the chains of the oppressive Hosni Mubarak presidency was the next to rise up in revolt. No one can forget the scenes in Tahir square, it was a regime change that was as popular as it was swift. Free elections followed and it was believed that democracy would prevail. Democracy did for a time, but revolutions are fickle things as the Muslim Brotherhood found out when the army coalition of General Abdel Fattah el-Sisi wrestled power back from the government. Rather than reel off another narrative on the failure of democracy in Libya, I shall quote one disturbing fact, this: The Libyan government does not control its own capital, Tripoli, it has been in the hands of Islamist militants since the start of 2014. Muammar Gaddafi, so much a dominant figure over the last 40 years left a power vacuum which the current government has struggled to fill. Syria is a sad and tragic story and has been in a state of civil war since the dawn of the Arab Spring in 2011. Where the people of Syria have suffered, the Islamic State has profited from the proliferation of weapons and combatants eager to embrace their extremist view of Islam. The failure of the surrounding Arab states and the Western powers to act has led to the growth of this genocidal band of fanatics in Syria and can be blamed for the current crisis. The countries highlighted above together with several others were enthusiastic for change, but once it did the imposition of the democratic framework from the ground up has not worked. In most cases the free people cannot move past the previous system, be it dictatorship, or corrupt form of democracy. 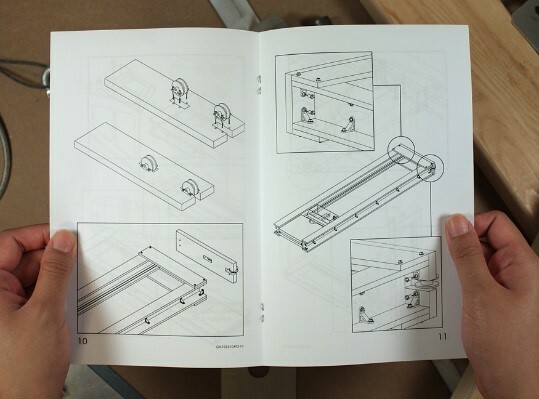 Surely the failure of “Flat pack” democracy is the proof that what works in the western hemisphere does not work in the east, or the south. The countries that have adopted this have become political and conflict quagmires, where the innocent people of those countries become bogged down casualties. So what are the alternatives? Is there a happy medium that allows the rule of strong law but retains the rights and individual freedoms of the people? The dictatorship for all its faults does fulfil at least one of these aims if only at the expense of the other. If such a thing exists, the multitudes across the Middle East and Africa need this as soon as possible.